Lead is a naturally occurring element found in trace amounts in the earth’s crust. While it has some beneficial uses, it can be toxic to humans and animals. Lead usually gets into drinking water through corrosion of plumbing materials like pipes, solder and fixtures made with lead. Lead contamination is especially likely where the water has high acidity or low mineral content that speeds the corrosion of pipes and plumbing fixtures. Homes built before 1986 are more likely to have lead pipes, fixtures and solder than newer homes. However, many new homes are also at risk. Even legal "lead-free" plumbing components may contain up to eight percent lead. What are the heath concerns with ingesting lead? How can I protect against lead exposure in my drinking water? The US Environmental Protection Agency has implemented the Public Notification Rule, requiring municipal water companies to notify customers when the plant is out of compliance concerning lead contamination. Lead contamination from wells, piping and fixtures within your home, office, business or apartment complex are not tested for lead contamination by the local authorities. EPA primary contamination level for lead is 0.015 mg/L. The source of lead and other metals are frequently found to be within the property itself and not necessarily the water supply. 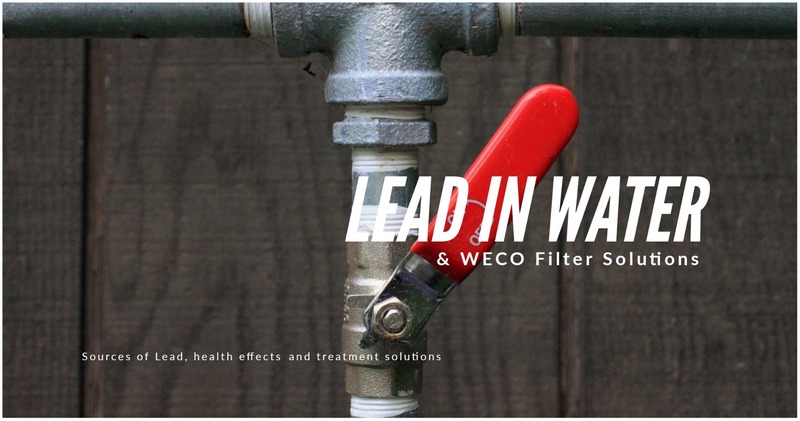 WECO can supply a variety of water treatment and purification systems to combat exposure to lead and other metals. WECO can also design a water conditioning system that corrects the acidic, corrosive conditions that not only cause the lead problem but eats away at your pipes and plumbing fixtures. There is no one-size-fits-all solution. WECO technical support will assess your particular situation and recommend the most efficient, cost-effective solution to lead and other types of contamination.